As a member of the Institute for Luxury Home Marketing, he's particularly well-known for building strategic marketing campaigns and social media buzz for homes by crafting a compelling story that promotes not only the property, but the lifestyle and image the home conveys. Never one to shy away from a challenge, Rafael consistently succeeds where others have failed. 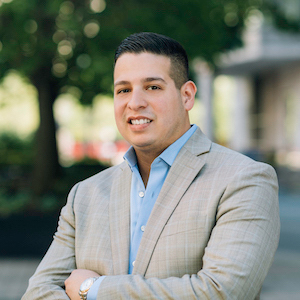 An established expert in Chicago real estate, Rafael has been featured in Crain’s Chicago Business, Top Agent Magazine, and The Wall Street Journal’s Mansion Global among others. Prior to brokerage, Rafael worked as a mortgage banker in the post-recession market where he took great pride in helping people fulfill the dream of home ownership in challenging times. This experience has also given him valuable insight on market trends and an edge when it comes to understanding his clients' needs. Despite his busy schedule, Rafael still finds time to give back to his community. He is very passionate about volunteering his time for nonprofits and charities.